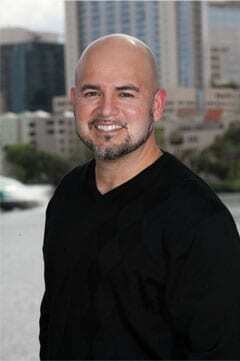 Dr. Luis G. Acosta graduated from the University of Florida College of Dentistry in 1998. He next completed a one-year General Practice Residency (GPR) at V.A. Medical Hospital in Gainesville before establishing roots in the Orlando area in 1999. During the residency, Dr. Acosta was trained in all aspects of dentistry so that he can provide his patients with a wider range of services. Dr. Acosta is certified as an Invisalign provider and has additional education and training as a graduate of the Las Vegas Institute of Advance Dental Studies (LVI). LVI provides aspiring dentist with advancements in cosmetic dentistry, educating them with the latest techniques that achieve exceptional, esthetic results. In his spare time, Dr. Acosta enjoys volunteering in the community by providing educational programs about oral health to elementary schools, volunteering at the Orlando Vo-Tech Dental Clinic and donating his services for Dental Organizations providing free dental care for local communities. Dr. Acosta also provides free dental services to those in need in foreign countries on mission trips through his Christian Church and Hands of Hope Ministry (Acts 20:35). Dr. Acosta is also a member of the American Sleep and Breathing Academy, American Academy of Dental Sleep Medicine, Greater Orlando Dental Society, Central Florida District Dental Society, Florida Dental Association, American Dental Association, Academy of General Dentistry, and American Academy of Cosmetic Dentistry.